From the couture-clad fashionistas of Coachella to the down-home devotees of CMA Fest, today’s large-scale music festivals attract fans from a vast range of demographics. The one thing they have in common is an unyielding passion for live music experiences, and as the value of leveraging festivals as an activation platform becomes clearer by the day, brands continue to line up for a piece of the action. 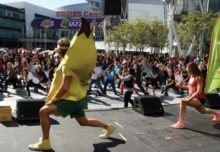 In 2017, sponsors of all stripes stepped up their game to deliver relevant and remarkable activations. 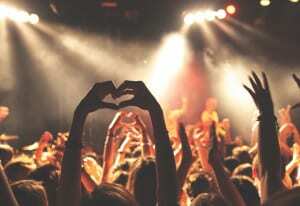 Here’s a look at some of the year’s top music festival experiences. HP for a second summer went after the digitally savvy audiences at the New York City-based Panorama Music Festival, integrating its products into two hightech experiences for attendees on-site. At The Lab, nearly 200 HP products and accessories powered hands-on exhibitions by local artists handpicked by HP. Installations included live-wired engagements like “Heartfelt” by Ekene Ijeoma, an experience that “moved rhythms and vibrations of light and sound through people’s bodies,” creating a human circuit. 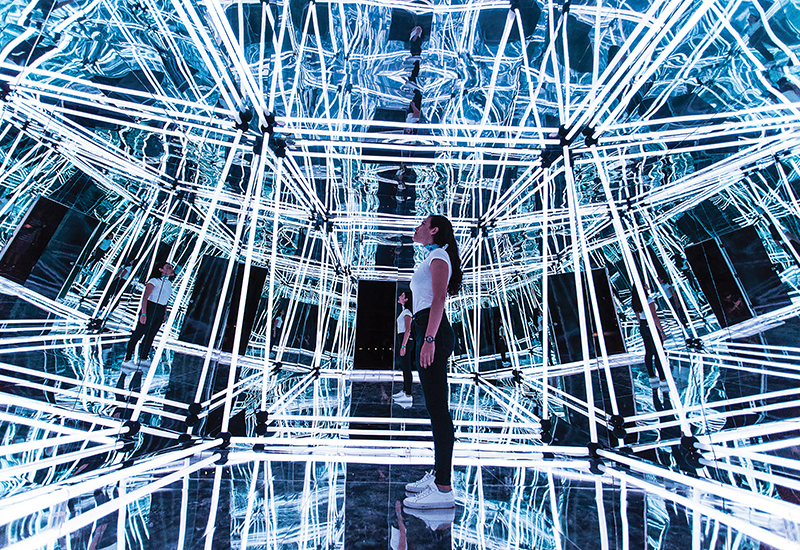 The Lab also offered a 360-degree, projection-mapped experience outside the brand’s domed footprint. And on the inside, a theater experience called “The Ark” displayed 20 minutes of original content on the curved surface created on HP workstations for attendees lounging in bean bag seating below. Meanwhile, the HP Lounge served as a multisensory demo and chill space for attendees to escape the summer elements. 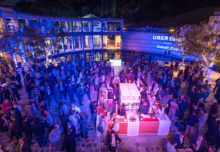 Nearly 50 HP products and accessories powered activations from a bandana inking station to a kinetic art experience that combined bullet-time photography, light artists and Spectre and EliteBook x360s to offer an original “photo experience” and GIF file (Agency: Infinity Marketing Team, Culver City, CA). –R.K.B. At The Lab, nearly 200 HP products and accessories powered hands-on exhibitions by local artists. High-tech isn’t the only way to captivate festivalgoers. 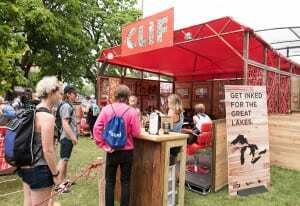 CLIF Bar proved as much at this year’s Pitchfork Music Festival in Chicago where it turned an analog strategy into 13 minutes (on average) of dwell time per attendee. Working in partnership with Alliance Great Lakes, a nonprofit dedicated to conserving and restoring the Great Lakes, the brand offered attendees a chance to get music-themed tattoos, which last for an average of two weeks, in exchange for a $10 donation to the Alliance. CLIF then matched each donation, effectively contributing $20 to the cause with every tattoo. With each tat applied, the Alliance had ample time to discuss its programming while simultaneously highlighting CLIF Bar’s “protect the places we play” activation theme. When attendees weren’t busy getting inked, they could juice up their devices at a solar-powered charging station, play lawn and board games, munch on samples and take a seat at the adult coloring station where they could color and fill out postcards designed by local Chicago artists, which CLIF Bar later mailed. There was also a giant cassette tape installation that ultimately served as the backdrop for nearly one in 20 Instagram posts tagged with #PitchforkFest (Agency: agencyEA, Chicago). Coachella is the hottest event ticket a music lover can get their hands on each spring, and in recent years, the Heineken House has become a staple of the Indio, CA-based festival. At this year’s event, over two weekends, Heineken House offered a bar and exclusive artist performances, including a 360-degree video of George Clinton & The Parliament’s two-hour set. The brand’s sustainable dance floor returned for a second year, converting the kinetic energy created when attendees dance into electricity to power the LED lights on the floor. And at a Digital Art Wall, festivalgoers could create custom art with a stencil, or tag a selfie with a spray can, then email their artwork as a souvenir or share it on social media. 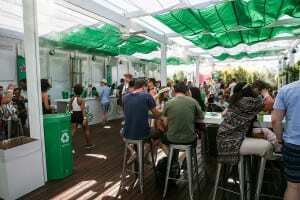 New this year, Heineken also activated its “This One is on Us” initiative where consumers visited a water bar in Heineken House to receive free cups of water throughout the festival; the cups conveniently fit on top of the Heineken bottle. What also returned this year: Heineken Cold Storage in the campgrounds, where campers’ cold beer was stored with the brand and then delivered directly to their campsites by messengers when they text-requested it (Agency: Corso Agency). 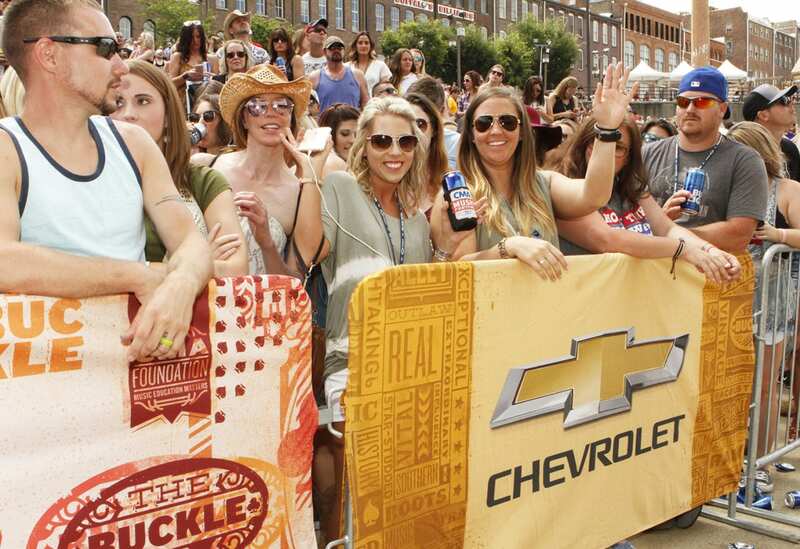 Longtime CMA Festival sponsor Chevrolet was back in Nashville once again this year to sponsor two of the event’s main stages as the official vehicle of the festival. Its Recharge Lounge at Walk of Fame Park gave attendees some much-needed shade and hair stylings, along with the chance to linger around the many Chevy vehicles on display. There was also a Kick Your Boots Up engagement where fans could try out the new lift and lower tailgate on the Chevy Equinox. A screen at the back of the vehicle randomly awarded prizes to those who tried it out. The brand additionally offered current Chevy owners the chance to bask in the shade of another exclusive outdoor lounge area. 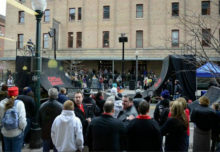 The automaker also sponsored Catch A Chevy, a fleet of 20 new Equinoxes that transported attendees around town. 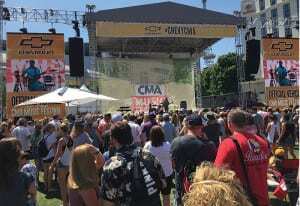 And a Best Seats in the House activation awarded upgraded seats to fans in Nissan Stadium who tweeted or posted to #ChevyCMA (Agency: Jack Morton Worldwide, New York City). –S.O. 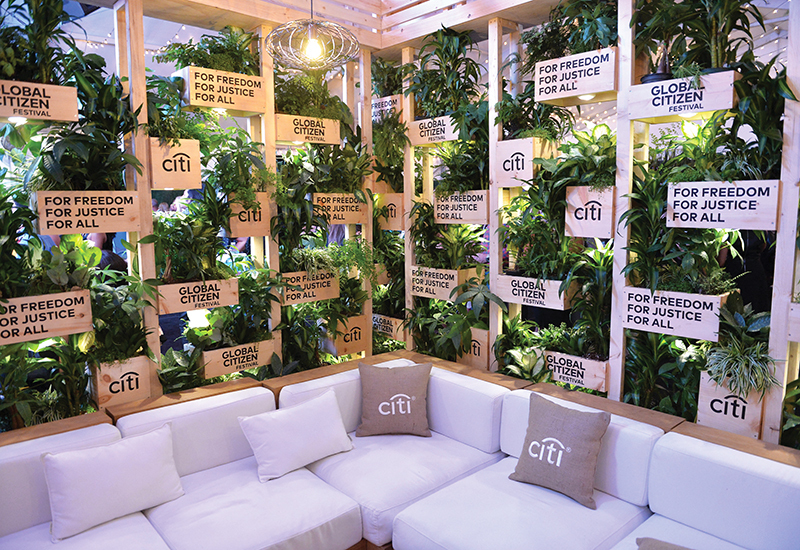 For six years, Citi’s cardmember lounge has been the focus of its Global Citizen Festival sponsorship, but the brand upped the ante this year with pre-festival, advocacy-driven activations around New York City. Experiences ranged from an exclusive Mumford & Sons show for Citi cardmembers in which ticket proceeds benefited Global Citizen and Children in Conflict, to panel talks, to a co-branded takeover of bicycles in the Citi Bike program. At the main event, Citi’s exclusive hospitality lounge offered cardmembers a place to cool off, watch performers on myriad screens and indulge in catered fare inside an eco-chic space. Attendees could also engage with the on-site mixologist, who offered craft concoctions, or participate in a shareable Polaroid photo engagement. A handful of influencers, including Chelsea Yamase, also made appearances at the lounge. If that weren’t enough, Citi additionally partnered with Live Nation and NextVR to broadcast the festival live in virtual reality for the first time. The experience included on-stage performances and a behind-the-scenes look at how the event comes together via “Backstage with Citi,” a joint production series by Live Nation and NextVR (Agency: SoHo Experiential, New York City). Citi’s hospitality lounge offered cardmembers a place to cool off, watch performers on-screen and indulge in catered fare.